A native New Yorker, Rick Garrido attended Rutgers University and began his career as a commercial loan analyst for Key Corp. in Maine . 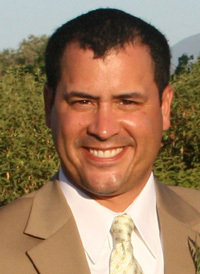 Following stints as Controller for a clothing retailer in New York City , Rick moved to California where he sold property as a commercial Real estate broker in Orange County. Currently, Rick works in the construction industry as a Land Use Consultant in Los Angeles . When not training for marathons, Rick spends his spare time with his wife and new borne son enjoying the beaches and hiking trails of Southern California.